ES Journalism Teacher Goes Momentarily Missing — CitizenC. 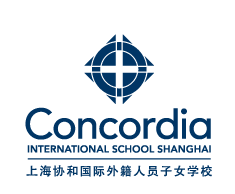 SHANGHAI — What happens when your journalism teacher doesn’t show up for her CCA and leaves 9 students to wonder about her whereabouts? You write a news story about it, of course! Students in Mrs. Turner’s Journalism CCA were surprised when their teacher didn’t meet them in the MSR as usual. After 5 minutes, they started to wonder what was going on. It turns out that Mrs. Turner was distracted over the upcoming JPAC soccer tournament and had dashed home after school to prepare her apartment for home-stays that are arriving later this week. She had thought it was Monday because she didn’t have students the day before due to a teacher work day. Mrs. Turner’s CCA is normally held on Tuesdays. Luckily, the Grade 3 and 4 journalism students had Mrs. Dominique-Pierre to watch over them while Mrs. Turner hustled back to school. She gave them a tour of the recording studio and talked to them about news writing. Due to Mrs. Turner’s lateness, ES journalism students had 15 minutes to produce their first piece. They made their deadline!